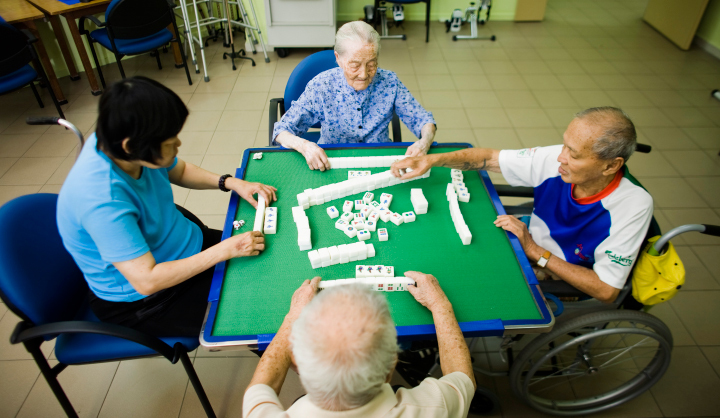 HOW CAN WE BETTER REACH OUT TO ELDERLY WITH DEMENTIA IN THE COMMUNITY? Distressingly, dementia is a serious problem blighting the seniors. 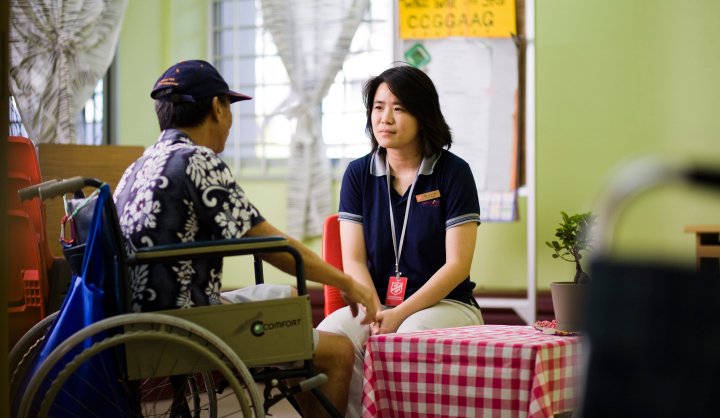 We partnered with The Salvation Army to pilot the Integrated Care in Place (ICP) Programme at its Bedok Multiservice Centre to promote “ageing in place” and tackle the onslaught of early dementia. 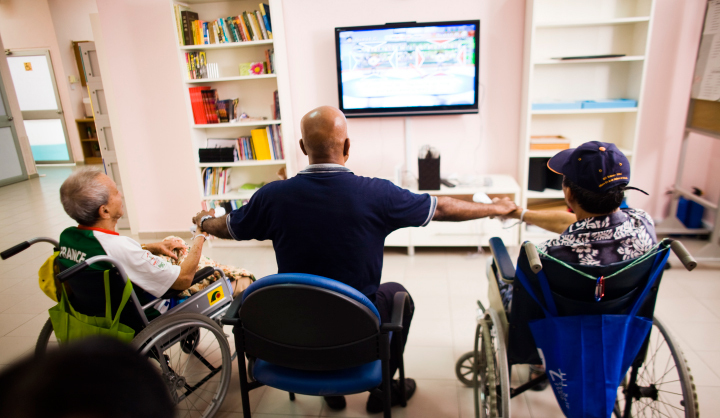 The centre runs dementia day care and integrated rehabilitation day care programmes to help the elderly clients achieve and maintain a healthy body and mind. 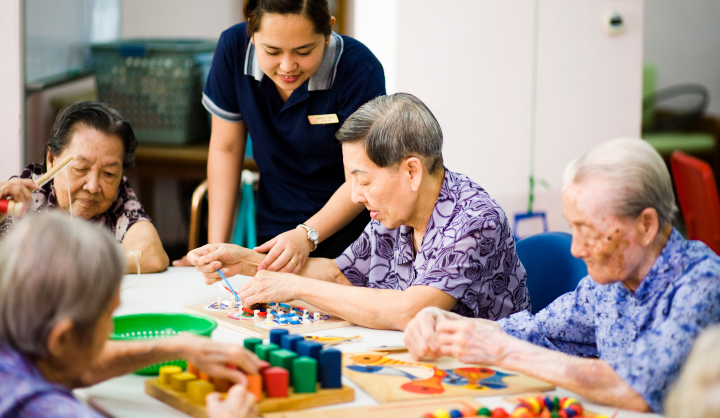 Under the ICP programme, a multi-disciplinary team comprising the psycho-geriatrician, registered nurse, occupational therapist and social worker enable the senior citizens in question to remain in the community for a longer period of time, subsequently preventing early admission into a long term care facility. HOW IS IT HELPFUL TO THE ELDERLY AND THEIR FAMILIES? Eldercare services typically operate individually and independently. This inconveniences the elderly and their families who have to shuffle between different service providers. With a centre-based case management team, they will benefit from being able to access various services in a one-stop centre. “At-risk” elderly receive immediate attention to their medical and social needs. Follow-up is also smoother as it is integrated with the facilities of the Peacehaven Nursing Home. The services include medical management, behavioural management, early identification of possible cognitive decline and prompt referrals to psycho-geriatricians. With the increasing demands on institutional care, it pays to delay admission to nursing homes (other than for medical reasons). If nothing else, it makes a noticeable difference in the quality of life and well being of the elderly. The pilot has proven so successful that it has since been rolled out as part of a national programme in the healthcare sector.